Boston, MA – In the face of new threats to Roe v. Wade at the federal level, Massachusetts took a stand today by passing proactive legislation to decriminalize abortion and protect access to reproductive health care. The bill, S.2260, overturns archaic pre-Roe Massachusetts statutes that date back to the 1800s, and guarantees access to abortion without fear of punishment for women or health care providers. A number of other states across the country have considered legislation to decriminalize abortion care and otherwise update their state laws to safeguard access if and when the Supreme Court further guts or even overturns Roe v. Wade. 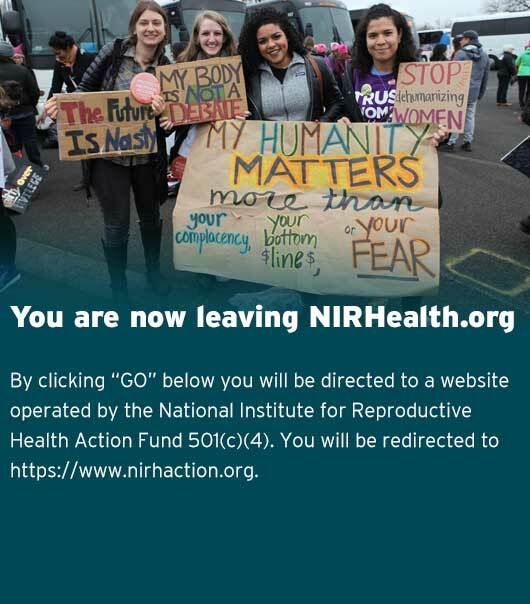 NIRH has been shepherding New York’s Reproductive Health Act (RHA), which would remove outdated criminal abortion bans that threaten both women and health care providers and enshrine new protections into New York’s law, with a renewed push in the wake of the nomination of Judge Kavanaugh for the Supreme Court. Rhode Island is currently considering a similar bill to decriminalize abortion in that state; last year Delaware passed a law repealing its pre-Roe abortion law; and Illinois rescinded its law that would have outlawed abortion if Roe is overturned.